There are two large and famous airports located very near to Agios Nikolaos. Heraklion International Airport "Nikos Kazantzakis" (IATA: HER, ICAO: LGIR) is just a 50-minute drive from Agios Nikolaos. This recently renovated airport is the second busiest airport in Greece and receives direct flights from major European airports, especially during the tourist season (May to October). Throughout the year the airport is regularly connected to Athens International Airport. It is serviced by KTEL of Crete (Cretan long distance bus company) which connects it to Agios Nikolaos and other parts of the island on a regular basis. You may also rent a car from almost all major car rental companies just in front of the airport. Sitia Municipal Airport “Vitsentzos Kornaros” (IATA: JSH, ICAO: LGST) is just a 1.5-hour drive from Agios Nikolaos. This modern airport serves numerous destinations in Germany, Denmark, Norway, Sweden and Greece. Local buses and car rental companies are located near the airport. 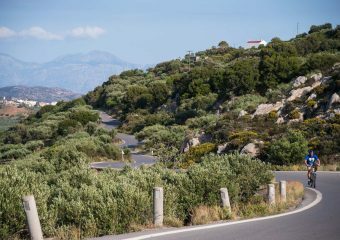 For those already in Crete, the island’s road network guarantees a pleasant drive. Agios Nikolaos is easily accessible from any part of Crete. Choosing to pass through small villages and to get in touch with the Cretan culture would bring an exciting twist to your drive. The magnificent views will make the trip even more pleasant. An alternative for those not keen on driving is the bus. The large bus network connects Agios Nikolaos greater area to the rest of the island with daily routes and the traveller has the opportunity to admire Crete’s lush vegetation at daytime and the island’s beautifully lit cities at night time. The port of Heraklion is one of the largest and busiest ports in Greece. It is easily accessible from the port of Piraeus and it is also connected on a daily basis to the ports of Santorini, Mykonos, Paros, Ios and Karpathos. It is located just a 1-hour drive from Agios Nikolaos. Agios Nikolaos and the nearby areas are serviced by a large TAXI network. It is very easy to get from the city centre to the outskirts or to the villages. The 24/7 TAXI service will make your visit to the greater Agios Nikolaos area a short and pleasant trip. The main TAXI station is located next to Lake Voulismeni in the city centre. An alternative for those not keen on driving is the bus. The large bus network interconnects the whole of Agios Nikolaos greater area with daily routes and the traveller has the opportunity to reach even the most remote of the area’s villages. 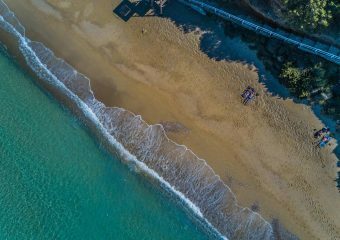 Elounda, Plaka, Kroustas, Kritsa and Kalo Chorio are just a few of the available choices for those who choose the bus as their means of transport. Agios Nikolaos is full of impressive bays and unique hiking trails. A nice way to get in touch with the cultural elements of the city is to take a stroll in the city centre. You could walk by the famous Lake Voulismeni and admire the stunning scenery. Walking outside the city limits will show you the genuine Cretan way of life. The local hiking association organises regular hikes even to the most remote areas of the municipality. The whole greater Agios Nikolaos area is accessible by bike. The city offers many bicycle routes for any biker which lead to magnificent landscapes and panoramic views. Seaside routes and mountain bike trails leading to nearby villages will reveal you many of the hidden spots of the municipality. The area is a biker-friendly area ideal for those who love short and long-distance cycling.